She's a Dutch model named Iza Ijzerman. 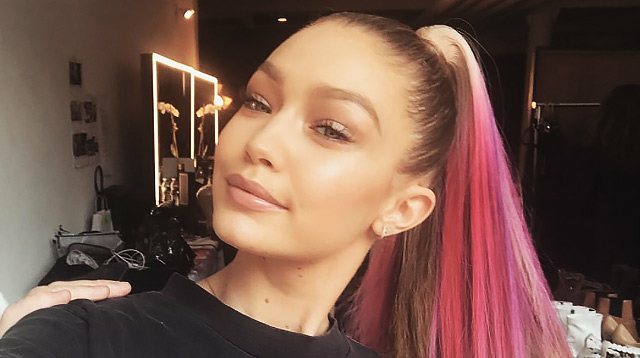 In today's edition of celebrity dopplegängers, let's put the spotlight on one girl who got the internet shookt because of her resemblance to Gigi Hadid. Elle UK reported that Iza Ijzerman, a 22-year-old model based in the Netherlands, could be mistaken as Gigi's twin. She's also got blonde locks, high arches, big eyes, a cute button nose, and a pillowy pout. Refinery29 UK got to talk to Iza and it turns out her modeling agency also took notice of her facial similarities with the New York-based model. "When I signed with MiLK, they posted a picture with the caption 'The new curvy Gigi Hadid,' so that’s the moment I realized it might be true!" she said. But she also clarified that she's not 100 percent sure about it. "I think I look more like Bella," she confessed. What do you think, CGs? Do they really look alike?